Don’t you just love the shade on sunny summer days? Some may think that it is hard to grow attractive plants in the shade. Although, you can have beautiful gardens in shady spots. These plants will actually thrive in your shady garden. They are available in a virtually limitless selection of sizes, shapes & colors. 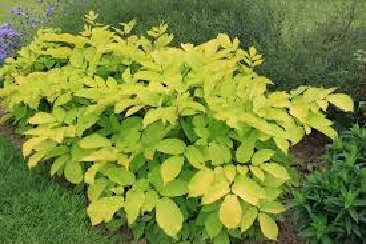 Aralia Sun King – This hardy, tropical looking golden beauty will brighten up the shade garden. 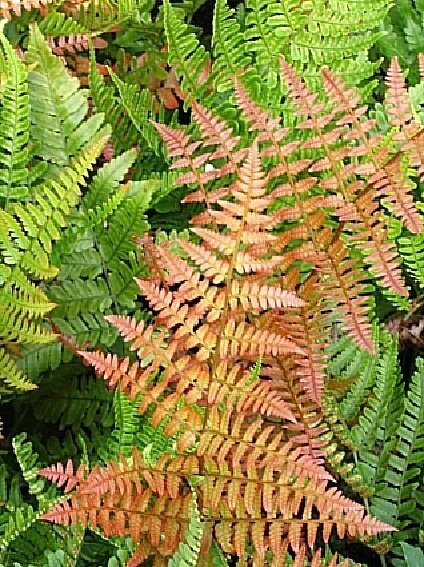 It emerges with bright golden leaves on contrasting reddish colored stems. If it is given a few hours of sunlight, it will remain golden yellow all summer, in heavier shade it will be more lime green in color. Tiny white flowers in mid – late summer followed by deep purplish black berries. This plant is also deer resistant and attracts honeybees. 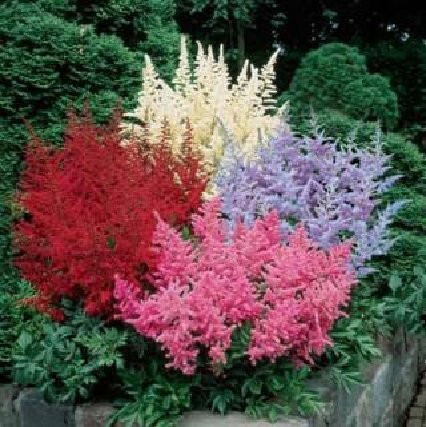 Astilbe – These beauties produce mounds of fern like foliage topped with fluffy plume type flowers in late spring – early summer. Colors include pink, red, lavender, peach & white. Prefers rich, moist soil, but can tolerate some sun if kept moist. Additionally, did I mention? Astilbe is also deer resistant. 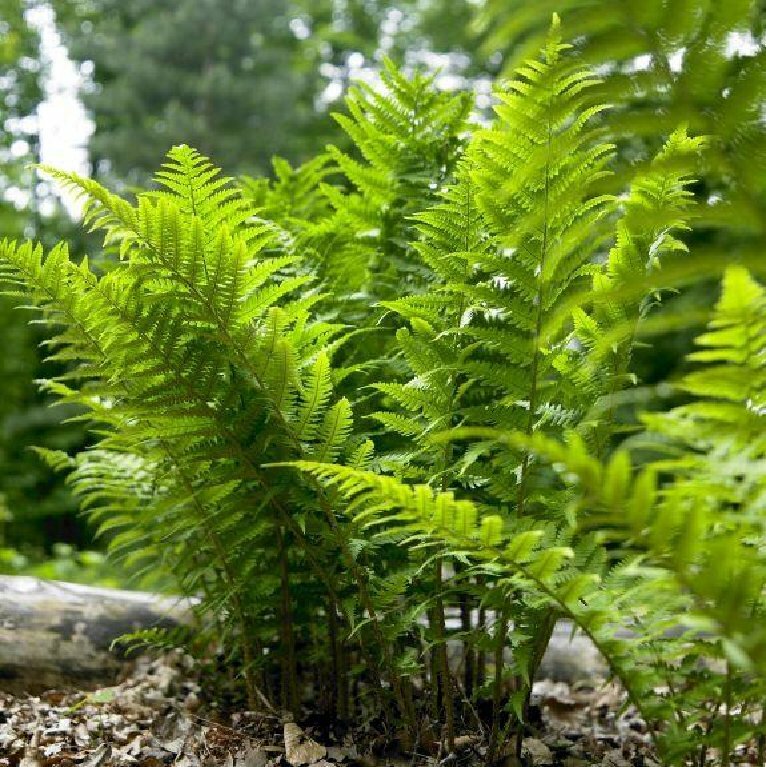 Ferns – What would a shade garden be without the fine, lacy foliage of ferns to compliment hostas & other shade loving perennials? 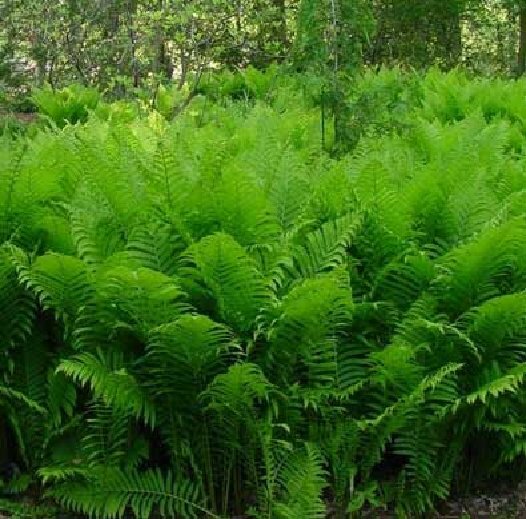 Ferns play an essential role in the shady landscape. They come in colors ranging from solid green to silver & orange, but it is their finely textured foliage & ease of growing that make them so popular. Heuchera (Coral bells) – Hooray for Heuchera! 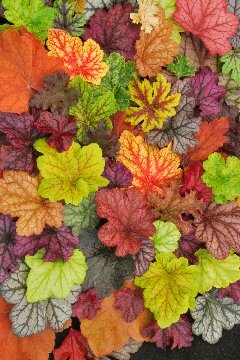 Known for their gorgeous, interesting foliage, heucheras are mounding plants with heart shaped rounded or triangular lobed leaves. They tend to be semi evergreen in our area. Sprays of tiny flowers ranging in color from cream to pink or red are produced on wispy stems above the colorful foliage. These make a colorful compliment to your shade garden & don’t forget their cousins Heucherella & Tiarella. 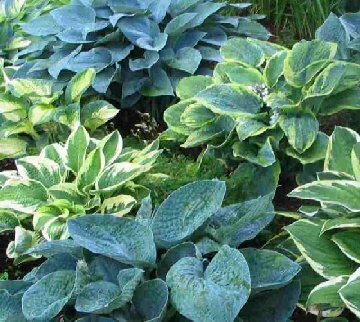 Hosta – You can create an entire shade garden with these awesome plants. They are shade tolerant, low maintenance, & very forgiving. The range of foliage color, shape, texture & size is extraordinary. The flowers that are produced in June range in colors of pink, lavender, purple & white, some of which are very fragrant. And those names… Rainforest Sunrise, Blue Mammoth, Blaze of Glory, Mouse Ears, & Color Festival, just to name a few.